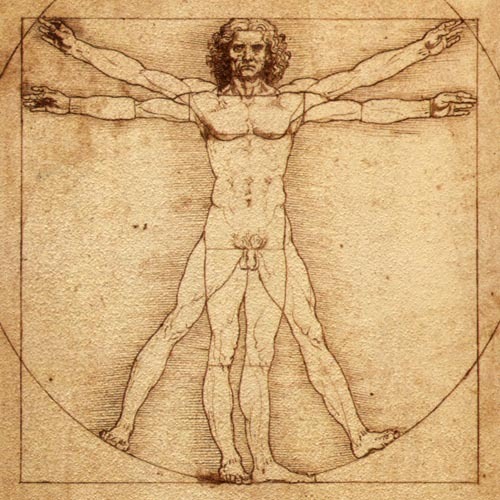 The Vitruvian Man c.1492. The painting by Leonardo da Vinci displays the spirit of scientific inquiry. The term Self-Realization describes complete fulfillment or full development of the Self and Man is not complete without full development of God-Connection. God-Realization is not about Faith or Belief in God. It is about understanding the connection between Man, the energy consumer, and God, the Energy Controller. What is Man? Kindly permit me to begin my inquiry about Man by stating the motivation for asking the question. The inspiration is derived from a statement in Sanskrit language, “SARVESHAM SWASTIR BHAVATU”, a statement which seeks the well-being of all people, of all races, of all cultures, of all religions, and of all nations. We need to establish knowledge about Man on a firm basis and the information it provides must be tested for its accuracy and consistency with external reality. If Man is viewed as a multicellular organism, I try to explain Self-Realization by my understanding of that Human Subject who objectively exists in the real world because of the living functions of the cells, tissues, and organ systems that provide the biological basis for that existence. Clinical Medicine will provide opportunities to promote the well-being of all people as its practice involves the use of principles that support the objective basis of human existence. Self-Realization is described as the complete fulfillment or the full development of the Self. Since Man exists in the Physical and Material world as Energy Consumer, he is intrinsically incomplete without supply or provision of Energy from an external source. Man’s existence demands provision of Energy and the scientific inquiry about Man asks for understanding the Source of Energy and the Controller of Energy who instituted mechanisms for the supply of Energy. Hence, God-Realization is not about Faith or Belief in God, and it is does not demand the verification of physical attributes of God. If God is viewed as the Supreme Being, the Creator of Matter, Forms, and Energy, God-Realization is a hypothesis that states the connection, relationship, partnership, association, or bonding between Man and God to fulfill Man’s requirement of Energy from an external source. In the West, there is no inquiry about God-Realization because people are influenced by their religious beliefs and think of Man’s relationship with God in terms of Man’s Faith and Belief in God. In India, thinkers have reflected upon the nature of Man, his true Identity, his Existence, and about his relationship with God or Brahman( the Ultimate Reality). Some of these concepts about God-Realization or Brahman-Realization are known as Vedanta Sutras and Brahma Sutras that are mentioned in several Vedic texts, Upanishads, and their commentaries. The phrase called ‘Brahman Puccham'( it metaphorically refers to the tail of a Bull, Bos indicus) describes the five stages of God-Realization as, 1. “Annamoya”, or dependence upon food for existence, a materialistic realization of God, 2. “Pranamoya”, or realization of God in the living symptoms like breathing, or life forms, 3. “Jnanamoya”, or realization of God in the acts of thinking, feeling, and willing, and other mental functions 4. “Vijnanamoya”, or realization of the separateness or distinction between human body and an entity called the Knower, and the Enjoyer of the human body, and finally, 5. 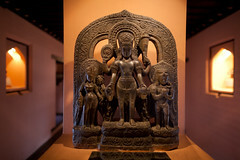 “Anandmoya”, or the supreme stage of God-Realization which is that of the All-Blissful Nature of the Supreme Being. Most Indian thinkers consider that the first three stages of Annamoya, Pranamoya, and Jnanamoya describe the fields of activities, the activities of human body that could be observed or experienced directly. The Supreme Lord is in a Transcendental Realm and by nature is full of Joy, and is the eternal source or fountain of Bliss or Perfect Happiness. The Supreme Lord expands His Energy and the Energy is manifested and is transmitted into Vijnanamoya and the other three stages of God-Realization. The Self that exists as Man, needs the Knowing-Self, the Knower, and the Enjoyer to attain the final, or supreme stage of God-Realization. Indian thinkers mostly agree about the separation of Man into Body, Mind, and Soul. A school of thought known as ‘Advaita’, or non-dualism seeks complete identity and union of Individual human Soul called ‘Atman’, and God or Supreme Divine Soul called ‘Paramatma’. The other schools of thought called dualist understand that the Individual Soul is separate from Divine Soul. Most interestingly, most Indian thinkers have not contemplated about the possibility of the unity of Man in Body, Mind, and Soul. They fail to question the inconsistency that appears in their understanding of Man and God. For example, Taittriya Upanishad, 2.1., states, “Verily is the Supreme Lord the essence of food. The person consisting of food is the physical body of the ‘jiva’ or embodied being, then the next is the breath followed by the mind.” And, 2.4., states, “Verily after that within of the mind which consists of intellect there exists the ‘atma’ or eternal Soul which consists of Consciousness.” These statements actually support my view that God, Man, Soul, Consciousness, Mind, Body, and Food(Energy) are all related to each other and support the biological existence of ‘Jiva’ or Man. There is functional unity between all these entities to establish Man as a living entity. Taittriya Upanishad has conclusively stated that Brahman or Spiritual Substance is pervading all existence. The inference that I would draw is that of seeking the identity and unity of the same spiritual substance that helps to describe the various activities and functions of food, human organism, mind, consciousness and soul working together on one hand and that of God on the other hand. It is really not necessary to separate these interconnected and interrelated parts of one single Energy Manifestation. 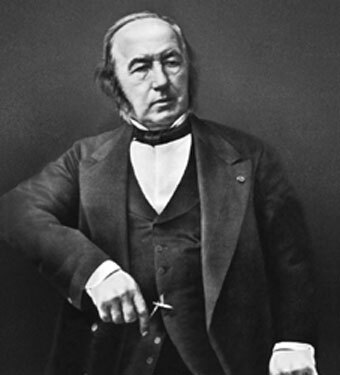 Claude Bernard( b. July 12, 1813 - d. February 10, 1878), French Physiologist was the first ever scientist of France who was granted a national funeral. He developed the concept of "MILIEU INTERIEUR" or internal environment of the Organism. He played a role in establishing the principles of experimentation in the Life Sciences to become one of the founders of experimental Medicine. Bernard's historic role was to demonstrate the experimenter's need to a guiding hypothesis to be either confirmed or refuted by the results of the experiment. Claude Bernard developed the concept of Internal Environment of an Organism and stated, “All the vital mechanisms, varied as they are, have only one object; that of preserving constant the conditions of life.” All living things maintain a constant internal environment. A living thing also maintains its Individuality while living as a member of a social community. I would propose my hypothesis about ‘Spiritualism’ in the context of ‘Homeostasis’, the phenomenon which describes the maintenance of constant internal environment. Spiritualism is the potency that maintains harmonious relationships between different parts of the same Individual and maintains harmonious relationships with other living entities present in the external environment of the Individual to provide a benefit for the existence of the Individual. This concept of Spiritualism which is based upon relationships within the Individual, and the Individual’s relationship with Environment, Community, and God would have practical applications in designing of our Health Care Policies that plan to promote, preserve, and sustain Man’s well-being during good health and ill-health. In my view, Philosophy of Medicine explores the natural principles of Consciousness that could explain what Man knows and experiences about the world around him and inside him. Such internal reflection would help to understand Physicalistic-Logistic Dualisms. We need to explain the concepts of Subject-Object, Appearance-Reality, Perceptual-Categorical, Immanent-Transcendent, Regulative-Constitutive, Conditioned-Unconditioned Dualisms in respect of Man’s true Identity, Existence, and Status in Nature. The hypothesis of Spiritualism that I propose would like to bring Unity between the Dualist and Non-Dualist Schools of thought in Indian Tradition. Pingback: SPIRITUALISM AND MATERIALISM | Bhavanajagat.